Going to the dentist is a huge part of your overall healthcare regime. If you go to the dentist regularly, you can set yourself up for great overall wellness. But, we wanted to delve into the frequently asked question: why is it recommended that people go to the dentist twice a year? Dentist all across the world will likely recommend that their patients visit them twice per year. That has to do with a few incredibly vital, and straightforward, reasons. Cavities, or small holes that can appear in teeth, are extremely common. 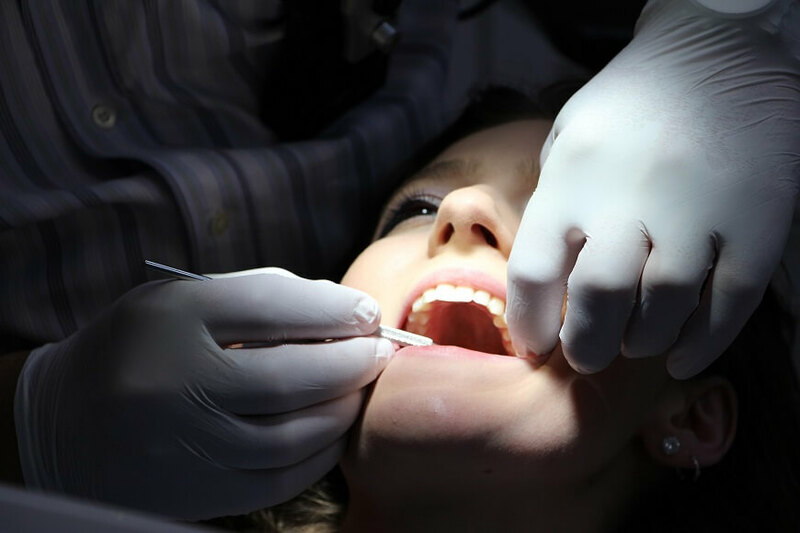 Because they often have no adverse symptoms, it’s important to go to the dentist to ensure that your teeth are cavity-free. If your teeth do have cavities, it’s even more important to see a dentist because, if they go untreated, a cavity can grow, causing you pain, and can eventually lead to the loss of your tooth or a root canal. If you see your dentist twice a year, you can prevent severe cavities and protect your teeth, and bank account, from expensive procedures. Like any other health care provider, dentists are constantly on the lookout signs and symptoms of a large, a potentially more dangerous, health issue. Signs of various conditions like diabetes and anemia sometimes show up in your mouth, and it’s important that you see your dentist regularly so that can spot anything adverse. If you don’t go to see your dentist for years, and the only symptoms you have are in and around the mouth, you and your regular physician can miss them. Lastly, you should see your dentist twice a year to simply keep up with your teeth to prevent any pain or discomfort in the future. In addition to looking out for cavities, your dental hygienist also gives you a cleaning that is much more thorough than the usual brushing that you do at home. This cleaning serves to remove set-in stains and any hardened plaque that is stuck between your teeth and settled under your gums. If you don’t get rid of that hardened plaque often enough, it can harden even further into what’s known as tartar, which is a leading cause of gum disease. Once gum disease, or any other preventable mouth disease, sets in, it will be costly and painful to treat. But, if you commit to going to the dentist twice a year, you can save yourself time, money, and pain in the future. So there you have it! It’s important to visit your dentist twice a year to check out your overall tooth and gum health, monitor for any serious disease, and save you from having expensive procedures done in the future. If you are in our area, don’t hesitate to make an appointment with our team. We look forward to hearing from you!